As I was meeting with one of my sweet brides this weekend, a really good question came up. Turns out the happy couple has picked a cake flavor which includes nuts and as far as they know, no one has allergies but what to do about it. Should the DJ make an accounment, should there be menu cards that let people know...what is the right step?..? 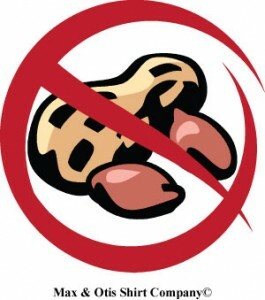 It is a known fact that anyone who suffers from a food allergy is on top of this. For the happy couple it might be hard to know if any of their 180 guests suffer from any allergies but the important thing to remember is to make sure that all of the staff serving is asks and lets people know about common allergies like nuts or shellfish. By all means be considerate of the issue, and do your best to inform the caterer of any known issues. It is an important thing to think about, when picking your menu but it might not affect your final decision. Though you should do your best to make sure that the menu choices are clearly described and remind the caterer to have their waitstaff ask if there are any allergies. My couple has picked a pistachio wedding cake and to be on the safe side, having the DJ announce the flavor might be a wise choice. What, why and how much a vendor costs honestly depends on the service they provide. When you are looking at vendors, the cost can be determined due to their experience, travel, the service, and the product, and of course most vendors won't charge the same amount. I always make a point to remind my couples that you have to compare the skill level, experience, product, but not just the price when looking at DJ's, or photographers. It is important to always know WHAT you are paying for. When it comes to ESTOccasions & estoPrints, WHAT you pay for really depends on WHAT you need. A wedding of 50 people may have the same needs as a wedding of 175 but there it will be a different level on the planning side. The differences change the pricing & we have no problem showing our couples what they are being charged for. We understand the cost of an entire wedding & making sure everything is clear leads to a less stressful planning process. When we sit down for our couples free consultation, we ask what we ask to make sure we can give you a custom package for your wedding needs. If your ceremony & reception site are close to each other or in the same venue, the cost is less for you. If you need chair covers and switching an entire room over in 45 minutes, the cost is higher because we will bring in the staff to make it happen. This is WHY we ask what we ask. Our years of experience have taught us and showed us that our clients are happier when they are able to have a custom package instead of just a random set price. Once we create a package, we don't suprise our clients with price changes. It isn't okay in our books to give you a package and then change the pricing later on. We also don't take kickbacks from our vendors. We recommend vendors because they fit our couples style, budget and we feel they would be a good fit for them. HOW we do this, well you first sign up for your FREE consultation & we then we sit and chat. We ask about your upcoming wedding, what needs to be done, the look you are going for and what type of budget you are looking to stay within. We take this information, use our years of experience and create a package just for you. Like I said before, vendors charge for different reasons. The cost of flowers might be similar but the design & skill level is one of the reasons why pricing can be different. Don't base your vendor choice ever on just price, it should be vendors you would like to be around on your wedding day, vendors who meet your style, needs, wants and have a price you are okay with it.